Boys, parents and staff at King Edward’s School have raised over £12,000 for the NSPCC by rowing the distance equivalent to crossing the Atlantic Ocean. 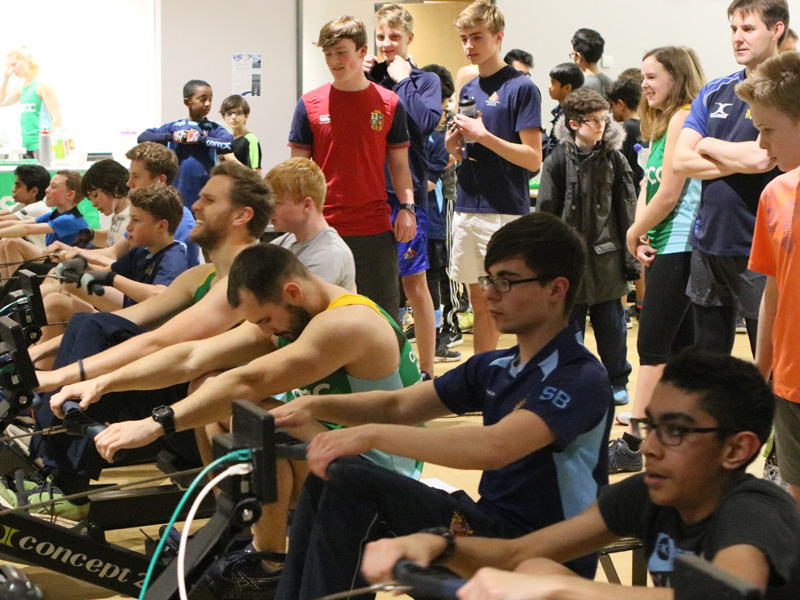 The 24-hour rowing challenge, which took place on Friday 9 February 2018, involved over 200 pupils, parents and staff in the attempt to complete the 3,000km journey. Working in teams on ten indoor rowing machines, stints of the journey were rowed in relay with each participant aiming to complete between 20 and 100km per visit to the rowers. Several boys braved the entire 24 hours, and the challenge was completed with almost two hours to go. Head of Sport Science and organiser of the event, George Browning, said: “This was a great challenge for everyone involved but one that we were all motivated to complete. The school’s initial aim was to raise £5,000 for the NSPCC, the leading children’s charity fighting to end child abuse in the UK. In total, over £12,000 was raised for the charity, more than doubling the original target, with one Year 7 pupil individually raising over £1,000. A hearty congratulations must go to all involved, as well as thanks to Mr Browning and all the sports staff for organising the event.